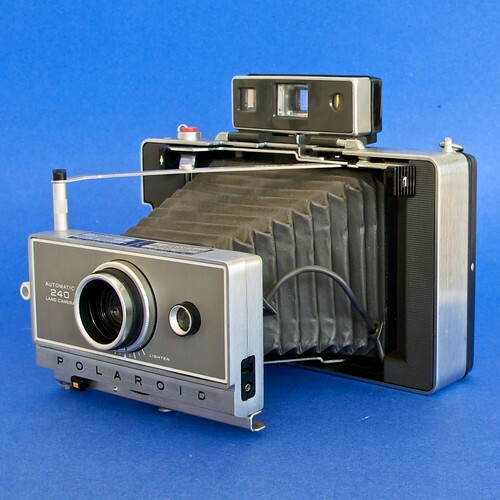 The Polaroid Automatic 240 Land Camera is part of the series of Polaroid cameras which began with the Automatic Land Camera 100 and finished with the Automatic Land Camera 450. This camera had features much like the original model 100. This page was last edited on 1 November 2017, at 11:43.